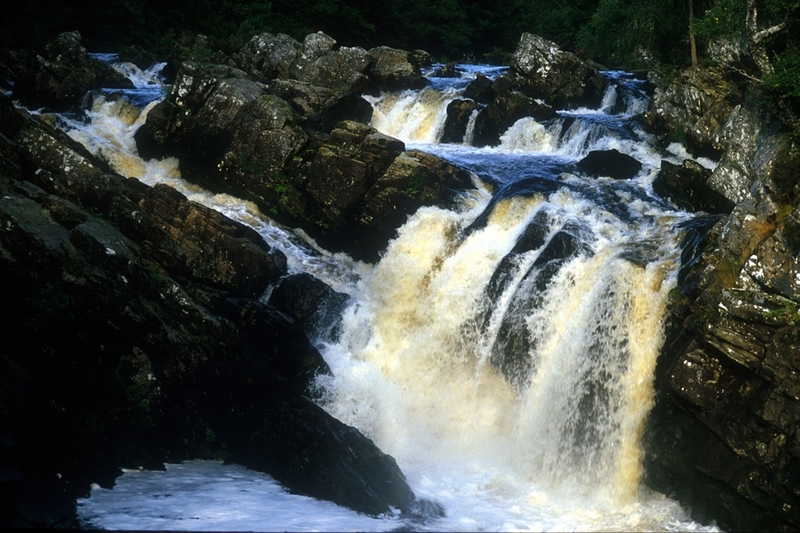 Rogie Falls has a series of lovely walks on the Black Water which you can follow to see the waterfall that is famous for salmon viewing. This beautiful spot is situated off the main road to Ullapool just over a mile north west of the village of Contin. It offers several good forest walks. 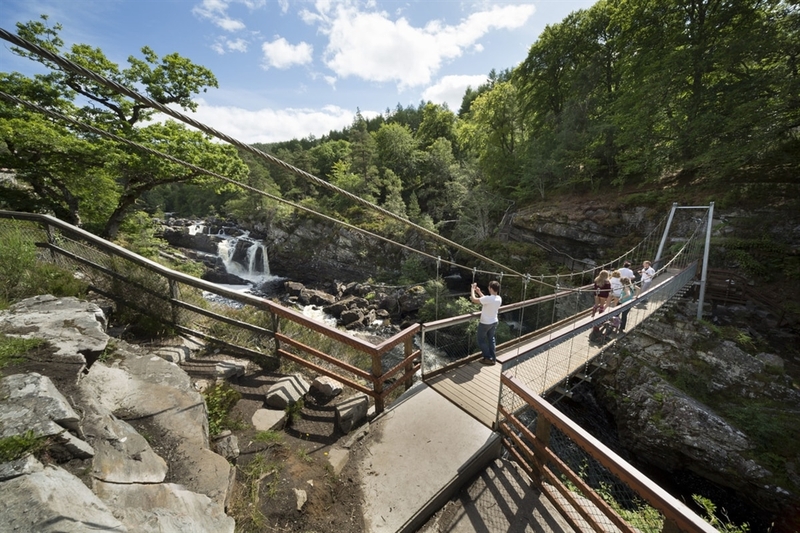 There are plenty of waymarked walks and seating at a viewpoint overlooking the falls. From Contin, take the A835 road west heading for Ullapool, for approximately two miles. You will see the sign for the Rogie Falls car park beside the road. The car park is on the east side of the A835.